If you are wondering who Elia Kazan is, we are in trouble. He created some of the best drama for screen and stage ever: On the Waterfront, Death of a Salesman, A Streetcar named Desire, East of Eden… He placed Brando and Dean where they belonged. He was a controversial figure too, as during the McArthy era he named names. But still, his film career is first class and his wisdom on how to make films deserves to be shared. Jeff Young knew Kazan personally, admired his work deeply and wrote in the 90s a fantastic book called “Kazan. The Master Director Discusses his films”, If you are into writing, directing or acting, you should read it. I hope that at the end of this piece you’ll be fully convinced. Lets us glimpse at Kazan’s erudition. “The important thing is to not become rigid, to always allow yourself chances to change and to grow. Directing is a human craft. Your tools are human beings; you’re working with human values in the service of other human beings. You develop your own methodology each time out. And if you really are any good, each time out you feel as if you are learning the craft all over again”. More on directing, here and here! 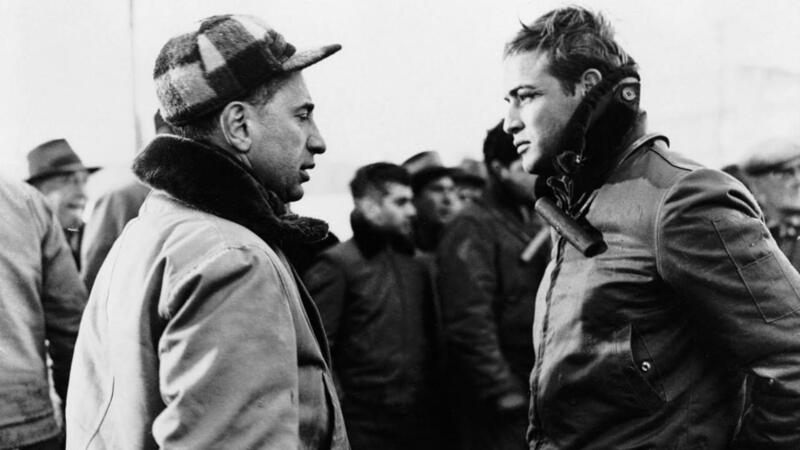 This entry was posted in BOOKS on filmmaking, FILMMAKING and tagged Brando, Dean, Directing, Elia Kazan. Bookmark the permalink.